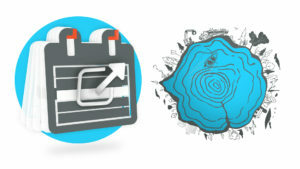 After a number of months of work, we are pleased to put the new version of the Forestry Operations Calendar on the website of the Outaouais Regional Integrated Resource Management Planning Table (TRGIRTO). Based on the feedback we received, major changes have been made to the calendar and we have worked to make it more user-friendly. It is now possible to see the number of active forestry operations in the six Outaouais Management Units (UA), as well as the list of all operations that may be carried out during the year. Details can be accessed from the home page according to the companies responsible for the work, the name of the forestry operation site or by the type of activity scheduled. On the page of a specific forestry operation, you will see the activities scheduled for the current week as well as those of the previous and following weeks. A filter allows you to search for activities in a particular week. At most, activities are listed for the three weeks following the current week. However, new activities for the current week may be added before noon of the Monday of that week. If you run into problems, you can click on the green rectangle, Comments and Bugs to provide feedback. We will answer as quickly as possible and fix the problem. We have tried to make the Forestry Operations Calendar easier to use. We hope it works well for you!